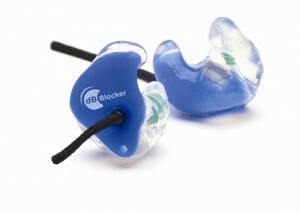 The dB Com Covert Earpiece is a patented filtered communication earpiece that secures a 2-way radio speaker in your ear. The wearer can hear the radio and what is going on around them. The Filtered Covert earpiece has a proprietary volume-limiting filter to prevent noise overexposure and eventual hearing loss. Its clear color makes the Filtered Covert earpiece barely noticeable and its construction makes it virtually indestructible. Unlike all other earpieces Custom Protect Ear makes, the Covert earpiece is designed to hold a Communication Connection in the ear without blocking sound from the ear. The Covert is used by Law Enforcement and Surveillance personnel who need to hear what is going on around them while they are receiving radio communication.